I’m starting the year off with a great wedding reception. Tonight I have the honor to entertain for one of my past wedding planning students, Paige. Paige and Nathan actually got married yesterday in San Diego, then flew back to Dallas for another celebration! All I can say is wow that takes some stamina. 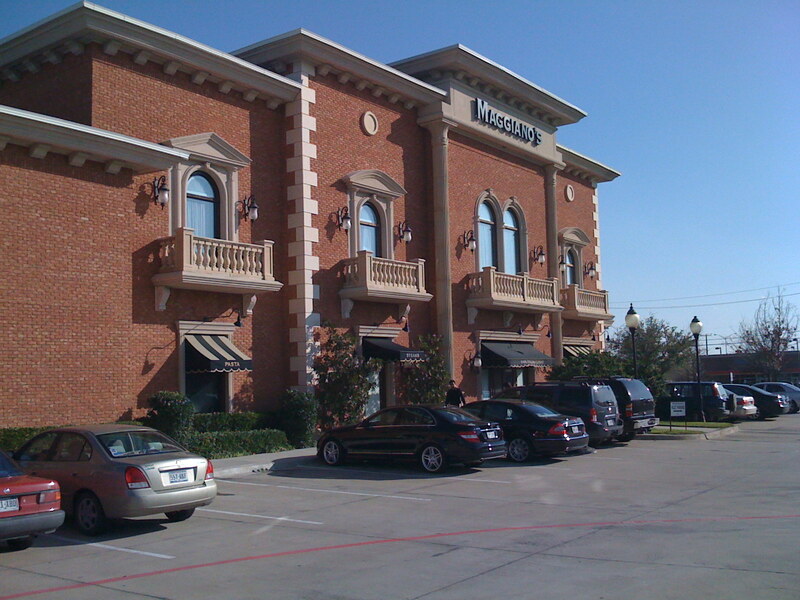 Their reception is being held at Maggiano’s in Willow Bend. I will be setting up in two seperate rooms this evening. 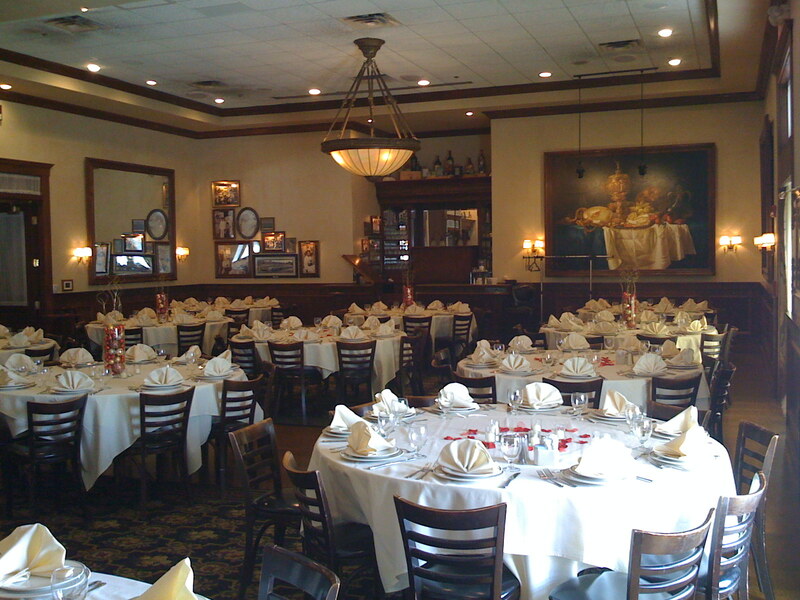 One is the Dancing room with the cake and the other is the dinning room. Fortunately these rooms are just across the hall from each other and don’t really pose any line of sight issues. I will be doing some up lighting in the dinning room and than some dance lighting in the cake and Dancing room. 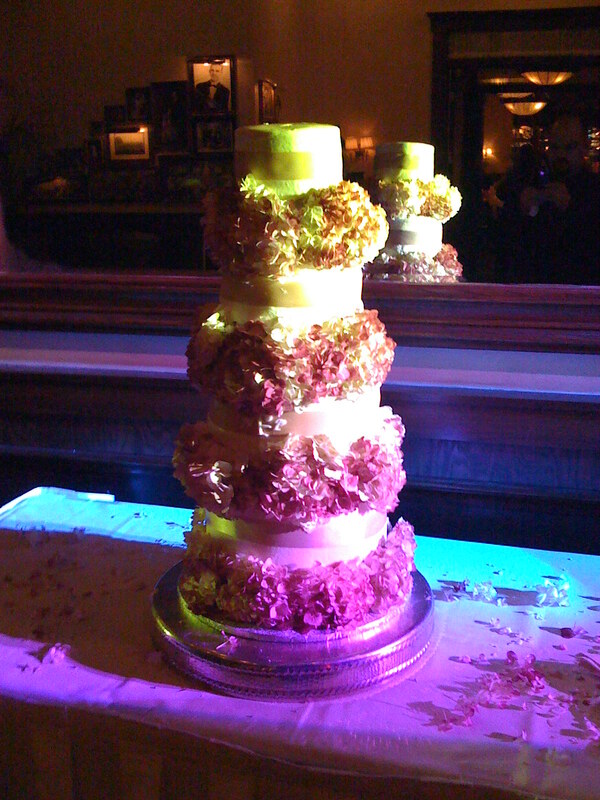 And here is how the Cake looked…. Paige and Nathan are great together I can see the love in their eyes…hinted with a little jet lag. But these two had a great time…I’m not sure Paige ever left the dance floor but hey that’s the whole idea isn’t it? 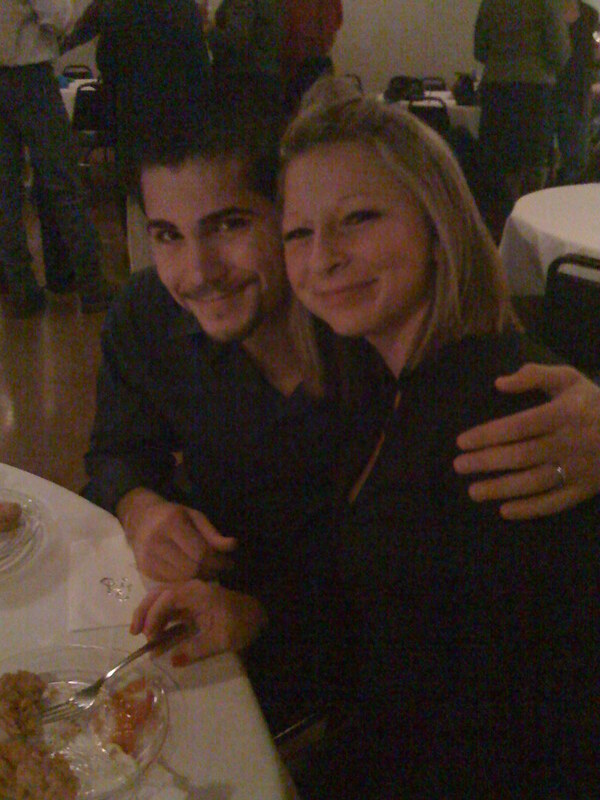 At the end of the night they were definitly tired, happy and in love. I wish the best for Paige and Nathan and a big thank you for allowing me to be a part of your very special day number 2. Tonight I have a great honor. I am entertaining at a family friends wedding. Chandra has been friends with my wife for nearly 18 years. They met in the 4th grade and did everything together. When Leslie found out Chandra was getting married she immediately began to cry. This is truly an honor and privilege to me and I am so happy for Chandra and James. Last night was the rehearsal and dinner which was held at the Oaisis which over looks lake Travis and one of the most beatiful sunsets I have ever witnessed. 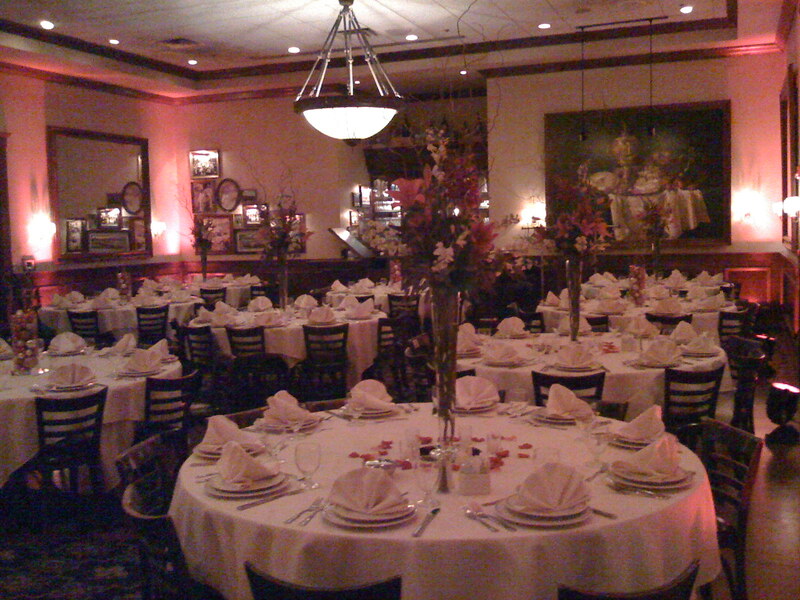 The Oaisis is a fantastic venue to host a rehearsal dinner or wedding for that matter. If you ever find yourself in Austin and thinking of something to do, The Oaisis is a must see. I arrived at the wedding chapel at 1:30pm to start setting up for the event. 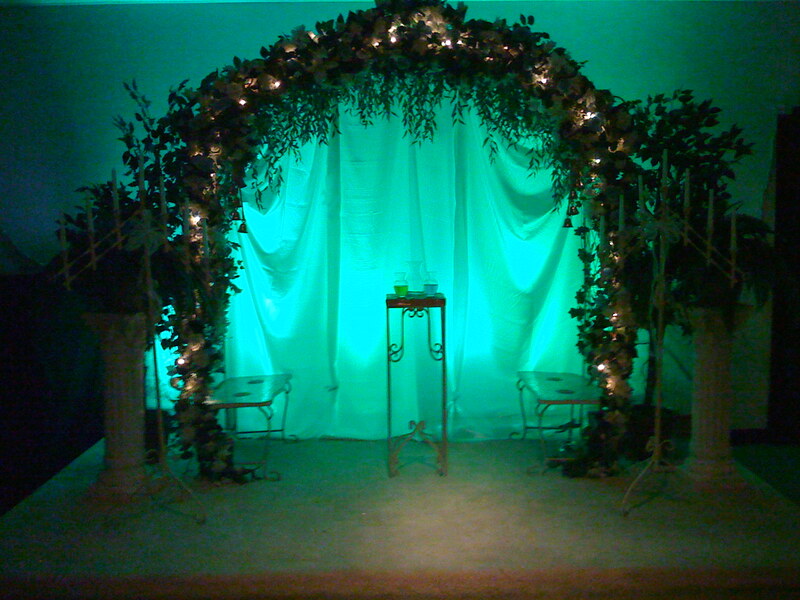 I was preparing a suprise with some LED uplighting behind their alter setup for use durring the water ceremony. 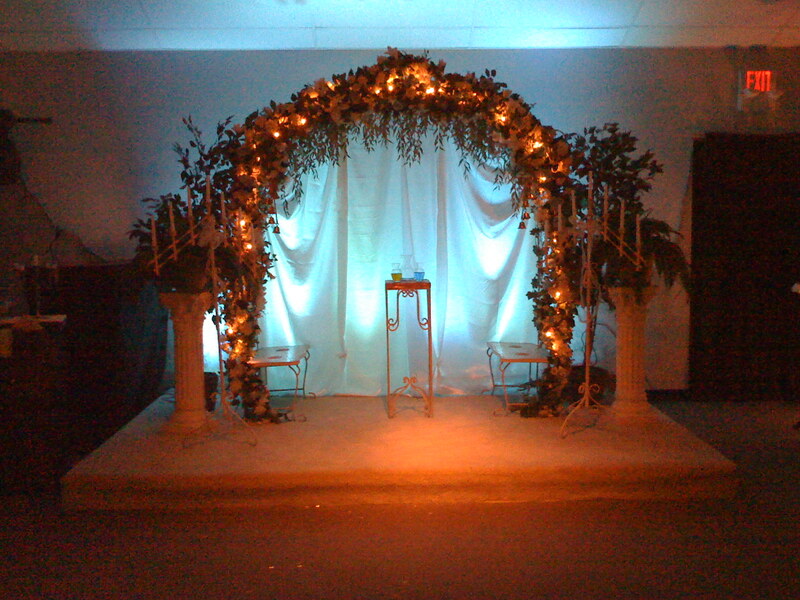 As guests arrived we had the room dimmly lit with the alter area lit in blue. The ceremony began and Chandra & James shared vows which they had written themselves. James said his vows while choking up, come to find out he also cut the last lines because he was loosing the ability to speak through his emotions. As Chandra gave her vows I could hear the entire room fill with what can only be described as pure emotion. I, being the helpless romantic that I am, completely lost it. I haven’t cried at a wedding in a long time, but the words Chandra spoke to her true soul mate where…well I can’t even find the words to describe them, the only thing I can say is amazing. As they progressed through the ceremony they did a water ceremony in place of a unity candle. This was the little suprise I programmed for the ceremony. As the minister started the water ceremony he began with a description of the water colors they each had. 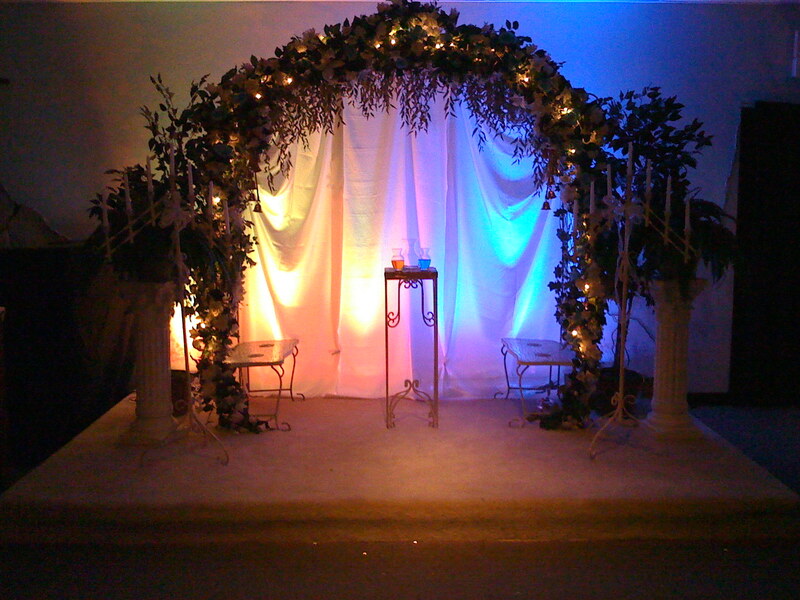 As this happenned I had each side of the alter light up in the colors each were holding. Then the minister described the meaning of the combining of the yellow and blue colors creating green. When this happened the entire alter area lit up in green. It was a great visual representation of what was happening since you really couldn’t see the water very well. After pictures, which were being captured by my wife and talented photographer Leslie Wandel of Artistic Image Weddings, we really got the party started with their very first dance as husband and wife. This was followed by a shared mother/son & father/daughter dance which lead directly to a packed dance floor for open dancing. I had such a great time watching the love shared between these two and the wonderful friends and family they share. It was truly my honor to be a part of this special event and my privillage to call Chandra & James friends. It’s a great evening to have a party and that’s exactly what Laurie & David have planned. Since they already got married outside of Texas, tonight is simply a celebration! 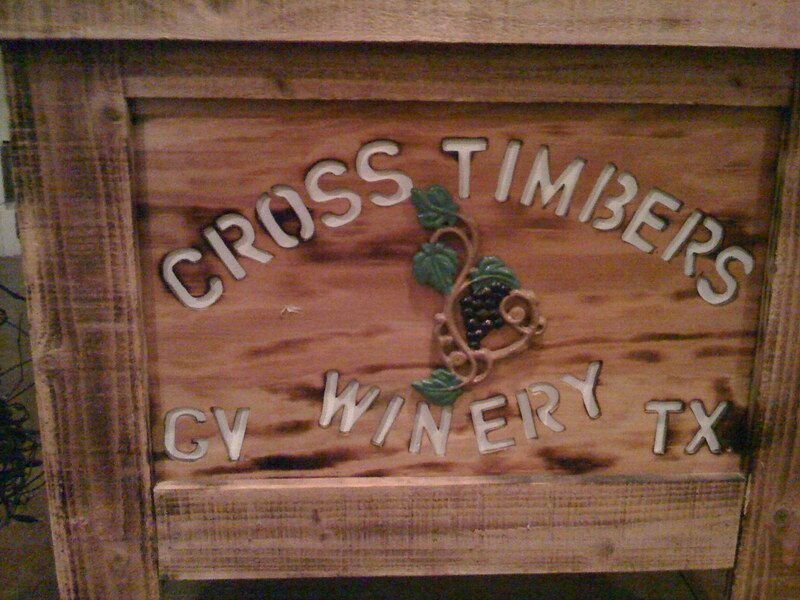 The Cross Timbers Winery in Grapevine is fantastic little facility to let loose in and have a great time. This is the second time I have been here an it is always a pleasure to work with their awesome crew members. And much to my surprise I ran into some recent past clients Mr. & Mrs. Blake and April Estrada. They were married on September 13th 2008 at the Country Abby on the eve of Hurricane Ike. It was a great pleasure to be a part of their special day which made it even more special to run into them tonight.